Ask your friends; ask your neighbors; ask our coworkers--there's no better place to buy a used or Certified Pre-Owned Nissan in the St. Louis area than right here, and no better team to buy from than the team at AutoCenters Nissan. Our local East Illinois inventory offers a huge range of affordable, fun-to-drive pre-owned Nissan cars, trucks, and SUVs, both in-stock and in the pipeline. Browse great deals on models like used Nissan Rogue, Maxima, or Altima for your young family--get the best prices on a used car that's comfortable, practical, stylish, and safe. Or, consider a pre-owned Nissan LEAF to squeeze the most efficiency out of your daily commute. If you're worried about staying on budget, don't worry: we offer dozens of used Nissans under $15,000. Remember--whatever your budget is for buying a used car in St. Louis, our guaranteed financing program means that you can get into a vehicle that you can afford, with a plan that works for you. Used cars, like four-door sedans and spacious hatchbacks, are some of the most commonly purchased pre-owned vehicles in the St. Louis, and it's no surprise why. Used cars are typically more affordable to buy, maintain, and fill up than something like an SUV or a truck, but they're a little more versatile than a hybrid. Shop used Nissan cars for sale like the Sentra, Altima, or Maxima, to improve your daily driving without breaking the bank. Want to save a lot on a car that gives you a lot of versatility and fun? Search for used Versa 4-dr or Versa Note 5-dr models right here. You can get a high-quality, low-mileage, and like-new pre-owned Nissan car for a lot less than you might think. Let us help you get started. See if a used Nissan crossover will be a better fit for your lifestyle! SUVs like the JUKE, Rogue, or Murano are great additions to the busy schedule of an East Illinois driver who needs more versatility and interior space than a sedan can offer. Many modern Nissan SUVs even come equipped with a lot of the great safety features, convenience features, and media systems that you'd find in their new counterparts--just, for a lot less money. If you need an extra boost of space for your family, pets, or your frequent carpool, browse inventory to see options and specs for brawny and capable sport utility vehicles like a used Nissan Pathfinder or Armada, both hefty three-row SUVs with a lot of muscle and towing power. You could even save money on a fully loaded and city-friendly used Nissan Kicks, one of Nissan's most-recent additions to the lineup. 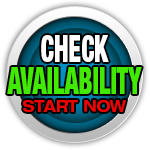 Browse inventory to see availability. Check out our exciting selection of pre-owned Nissan trucks for sale near St. Louis, like the Frontier, Titan, or Titan XD! We know that Illinois and Missouri drivers love the utility, capability, and muscle that a truck offers, but it's not always possible to buy one new--but, saving a few thousand dollars by finding a gently used pre-owned truck? Now that's something everyone can get on board with. The Frontier, as one of the more affordable small used trucks in Illinois, is the perfect addition to the hobby lifestyle--while a used Nissan Titan or pre-owned Titan XD is a better choice for drivers who need to tow and haul a good amount on a regular basis. Not sure which you need? Come by and chat with our used-truck experts. Stop By Our St. Louis Area Dealership Today For More Information! If you have questions about our used Nissan inventory; about applying for or qualifying for an auto loan with bad or no credit; or if you'd like to schedule a test drive--contact us today!